Stephan wanted to update his websites from an old frames based static site structure to a more dynamic, and easier to manage structure. The new site is powered by WordPress and includes a vast archive of over 10 years worth of SR daily news reports. 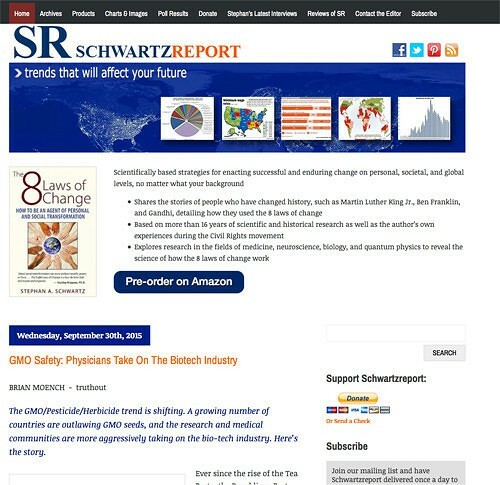 This site uses some heavy customization including a customized RSS feed that works in conjunction with MailChimp to generate the daily email subscriber version of The Schwazrtzreport.